Following on from the success of our bestselling London XT Solar Post Lights comes our London XT Black Edition Solar Post Light. The Black Edition incorporates all the features of the London XT Post Lights, but has 3 significant differences. Firstly the Black Edition comes as a single post light instead of a set of two. The post has a stunning black powder-coated finish instead of the brushed stainless steel finish used on the regular London. The SMD bulb emits a beautiful warm white light instead of the natural white used in the London XT range. The Black Edition features the latest technological advances which provide reliable lighting in outdoor areas and to function regardless of the weather conditions or the time of the year and without needing cables or a mains connection. 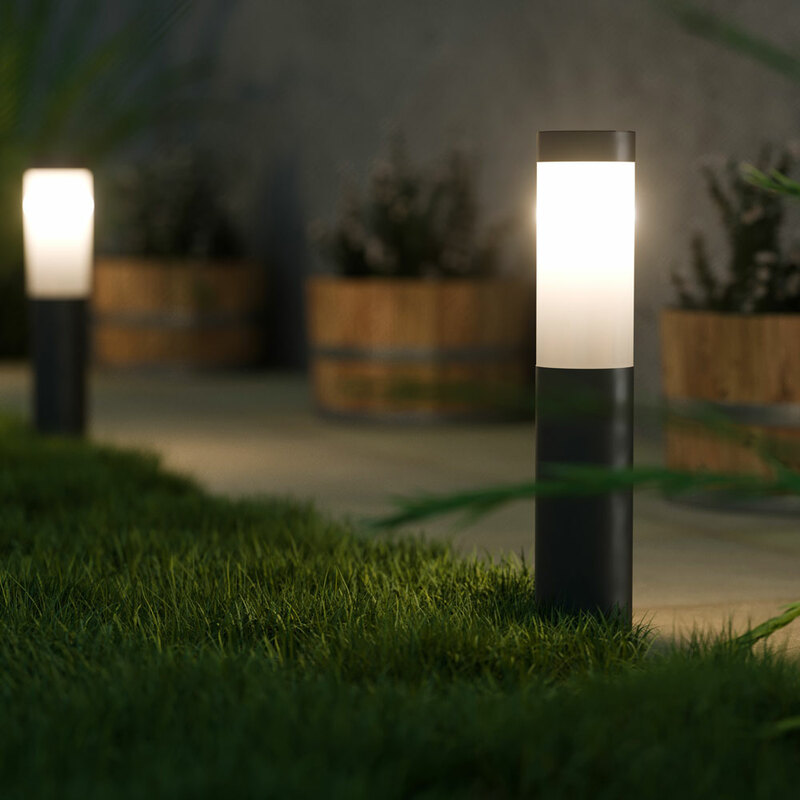 Made from the highest quality stainless steel, these solar post lights can be installed in a matter of minutes and deliver up to 10 hours of bright light with just a single charge. The London XT Black Edition also boasts intelligent power-saving technology and a new-generation warm white SMD bulb which are capable of delivering a lighting output twice as bright as similar post lights. 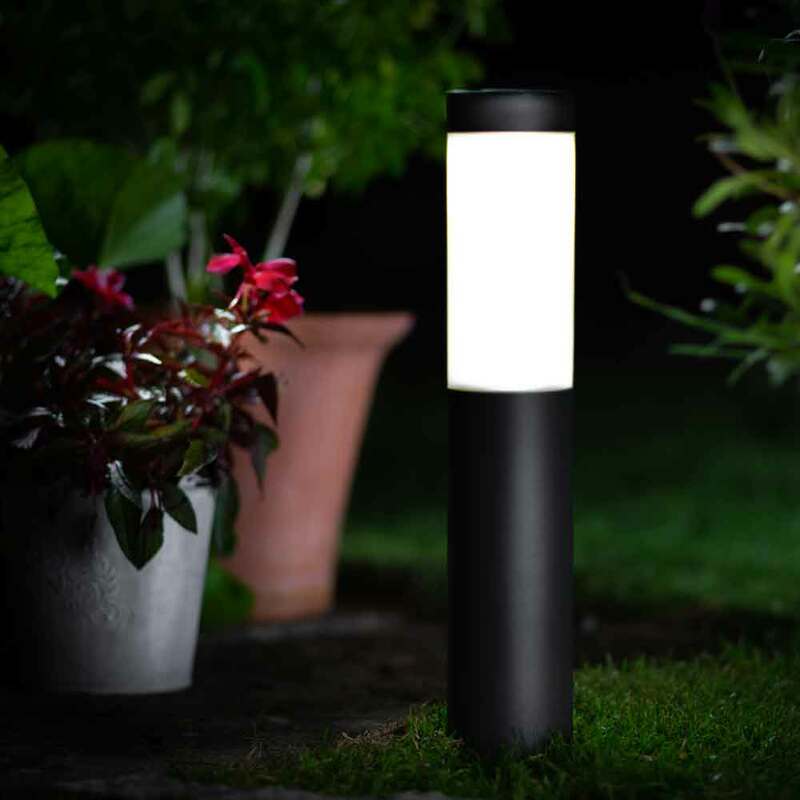 Their contemporary and minimalist design makes the London XT Black Edition Solar Post Light a perfect match for virtually every outdoor area, from lawns, beds, decks, driveways, pathways, and patios. Using the latest in lighting technology this Suface Mounted Diode Bulb gives superior brightness and extended runtimes. The Silverlight range offers stylish and contemporary mains-free wall and bollard lighting made from high quality stainless steel finished to the highest standard. Just brought three more had to wait awhile because they were out of stock but well worth it they look great along the path. This solar light is brilliant it lasts the whole night long, itâ€™s a good light for edging our driveway so as not to hit wall, easy to install. And looks really good. These are very attractive and effective posts; I have fixed them to concrete slabs using screws & rawlplugs. Tip: use blu-tak to hold screw to screwdriver to ais fitting. These lights look great in our garden. The brightness is decent and automatically switches on when dark. Sturdy materials and great value for money. Good product, easy to install, works well. 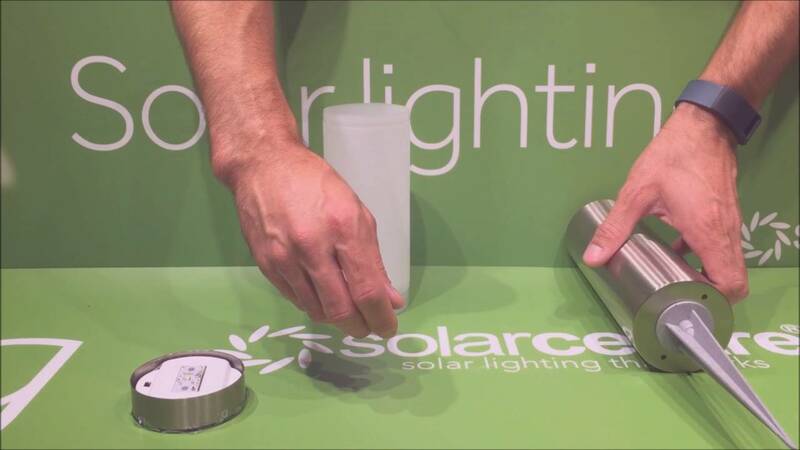 Quality, performance, and energy efficiency come together in this innovative and beautifully designed solar post light. The London XT Black Edition has been created to be fully functional all year round, to add a stylish decorative touch to outdoor areas, and help you save money on your electric bills. This lighting fixture is built with corrosion-resistant materials and can be easily spiked into lawns or beds or screwed into decking or hard surfaces. The actual post is made from high-grade stainless steel with a beautiful black powder-coated finish that won't rust no matter what the British weather throws at it. As for the lighting mechanism, the London XT Black Edition is fitted with polycrystalline solar panel cells and with a high efficiency ultra-bright warm white SMD bulb. Together, these yield an incredibly bright lighting output that can last for up to 10 hours each night. The round-shaped solar panel is powerful but unobtrusive, so you'll hardly notice it's there. Other details that you'll love about these solar post lights include automatic dusk till dawn illumination but can be turned off if need be. The London XT Black Edition offers a high IP44 waterproof rating; low power consumption; and a long life span that makes them perfect if you are after a lighting solution that offers outstanding value for money. The Black Edition is sold as a single solar post light and comes with two NiMH rechargeable batteries pre-installed. How do I use them without the spike, screwed to a wooden post or decking? Many thanks. There are screw holes in the underside of the metal body. Just remove the white diffuser and use a long screwdriver to screw them down then replace the diffuser. With the switch in the S position the light will operate in standard mode. Moving the switch to the P position will substantially increase the runtime of the light whilst slightly reducing the brightness of the light.